Welcome to the official website of the 3rd International Congress on Environmental Researches and Technology (ICERAT) which will be held on 08 – 12 November 2017 in Belgrade, Serbia. The ICERAT’ 2017 topic areas mainly focus on Water Pollution and Control, Wastewater, Air Pollution and Control, Solid Wastes, Noise Pollution, Soil Pollution, Renewable Energy Sources, Persistent Organic Pollutants: Occurrence and Fate in the Environment, Biology, Hydrobiology and Ecology. The aim of the conference is to gather leading academicians, policy makers, independent scholars and researchers to share their knowledge, new ideas as well as to discuss future development in these fields. An additional goal of the ICERAT’ 2017 is to offer an opportunity for young researchers, academicians and practitioners with multidisciplinary interests related to business, economics and social sciences to meet and interact with members inside and outside their own particular disciplines. The ICERAT is organized every year in different Balkan, Far East and Europe Countries to present an ideal platform to share views and research results in economics, business, management, social sciences and related areas. We look forward to see you in Belgrade at the ICERAT’ 2017. -Modelling tools and modelling of water and wastewater treatment processes/plants. -Thermal technologies for waste disposal. -Insulating materials for the noise pollution. 9. Biology, Hydrobiology and Ecology. 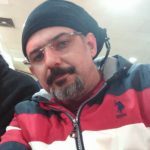 – And other issues on the environment. 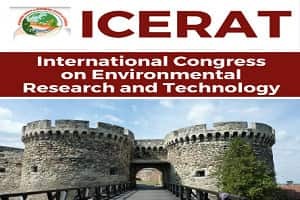 Prospective authors are invited to submit their abstracts following the guideline posted on the conference website https://www.icerat.gen.tr Submitted abstracts will be peer-reviewed (check review process in the conference website), and prospective authors are expected to present their papers at the conference. The papers that are accepted and presented at the conference will appear in e-book and selected papers.